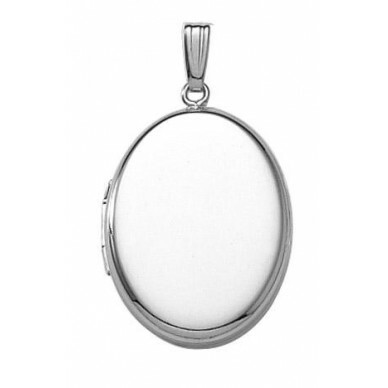 A joy to wear, this smooth flat oval locket is both modern and old fashioned. It has a very flat profile. It measures aprox 3/4" across and 7/8" long. 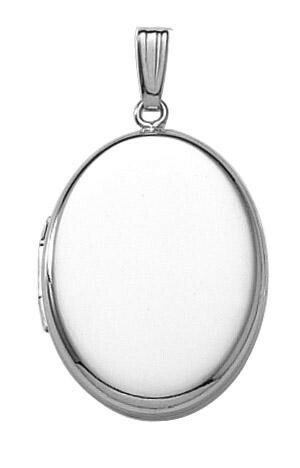 Wear it plain or have it beautifully engraved for an old fashioned look. You could monogram the front, or just a single script letter. On the back put a special date or sentiment. Make it personal. Comes with a free gift box and a matching sterling 20" chain. Made in the USA, lifetime warranty.